CND Archives - Do You Speak Gossip?Do You Speak Gossip? You may laugh when you see the photo, but I took it in December and I wanted it to be festive, as this post was supposed to go live about a month ago. But then, life got in the way, and I had to take a break from my blog, because of my busy schedule. So let’s pretend it’s still the holiday season, and move on. 😛 This is the winter 2018/2019 collection by CND, called Night Moves. It’s a collection filled with shimmering shades, that were perfect not only for the holiday season, but all winter long. The shades I received from the brand for testing are: Kiss of Fire #288, which is the red one, the one I wore on my nails for Christmas and looked amazing, Soiree Strut #289, which is the shimmery champagne color, and then After Hours #291, the silver one. 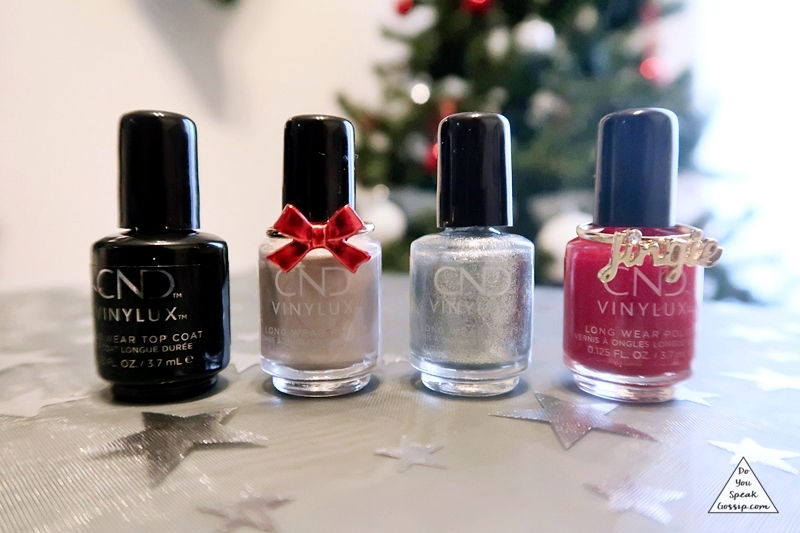 I’ve talked a lot about the quality and the durability of CND nail polishes, which is always top notch, so I’ll just leave you with the presentation of the new collection. Enjoy your weekend! I just received the fall 2018 collection by CND, which is called Wild Earth, and I’m super excited. The collection includes 6 shades in total, Blue Moon (a fantastic deep blue color), Dreamcatcher (an amazing deep purple color), Arrowhead (a milk chocolate one), Spear (a light orange hue), Element (a nice warm red hue), and last but not least Brimstone (the perfect beige). I have Dreamcatcher, Spear and Element on my hands (left to right on the above photo), and from the moment I got them, I fell in love with Dreamcatcher. So I couldn’t wait to paint my nails with it. It’s even more beautiful on the nails. 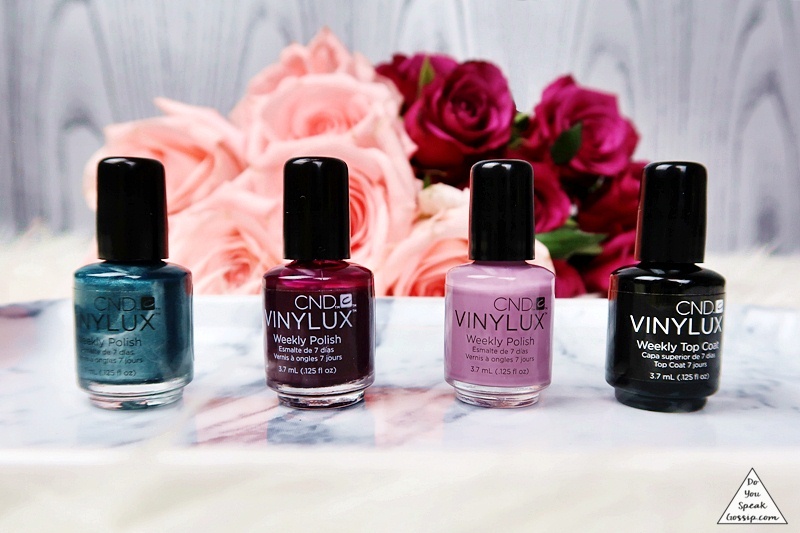 Super easy to apply, perfect color even with 1 coat, and a nice shiny finish, with the long-lasting factor of the CND brand we all love. Will you try the new collection? The new Glacial Illusion collection of CND for Winter 2018, is full of icy-cool shades, which I personally adore. It includes 6 colors, as always, with names such as “Ice Bar”, “Cashmere Wrap”, “Radiant Chill”, “Alpine Plum”, “Mystic Slate” and “Winter Nights”. “Ice Bar” is a shimmery translucent pink, “Cashmere Wrap” is a nice pink/beige, “Radiant Chill” may look copper but it actually has rose gold hues, and gives a nice mirror effect, “Alpine Plum” is an icy lilac shade (which I’d love to add to my collection), “Mystic Slate” is icy grey/blue, and last but not least, “Winter Nights” is a nice deep night blue. The last one gives a pop of bold color to the whole collection and makes a nice combination with practically any color of Glacial Illusion. 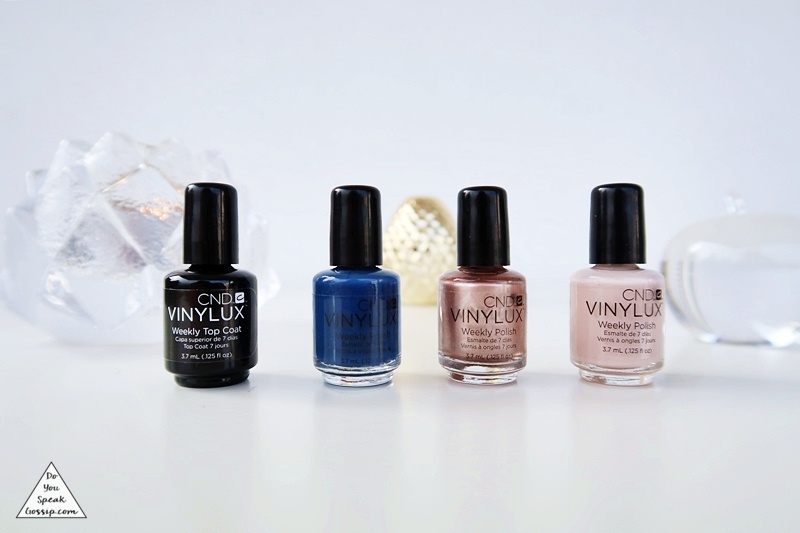 As you can see from the photo above, I received the colors “Winter Nights”, “Radiant Chill” and “Cashmere Wrap” of the collection, along with their famous top coat which I love. They’re all very pretty, but I personally loved Radiant Chill which I’m currently wearing on my nails. A few weeks ago CND sent me their new fall collection called “Nightspell” to try it out. The full collection has 6 shades, but the gift box had 3 of them, plus a top coat. 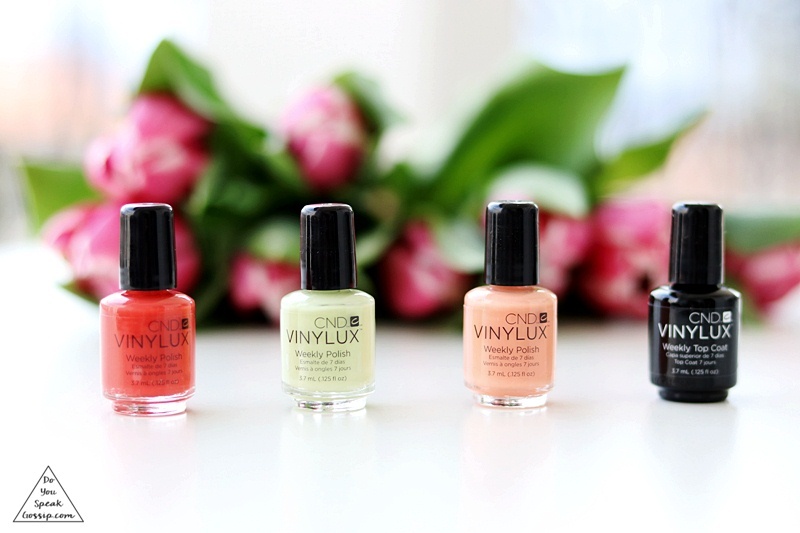 If you want to read my review about the CND nail polishes in general you should read this post. The ones I received are (from left to right): Viridian Veil, Berry Boudoir, and Lilac Eclipse. They are all really cute in their travel sized bottles and the colors are very pretty. My favorite among these is the Lilac Eclipse, which is a nice dusty lilac color, that can be worn all year long. It needs 2 coats to get it to look opaque. I also loved Berry Boudoir which is a nice berry/burgundy color, perfect for winter, which is the one I have on my nails right now. It’s very pretty, but needs 2-3 coats to look perfect. Last but not least, Veridian Veil, is the only metallic one and it’s a nice metallic blue/green color that looks amazing on the nails even with only one layer of nail polish. The top coat, is absolutely amazing, and it’s my favorite one lately, as it makes the color last longer & look shinier, and nails dry faster. Which is your favorite one?